I admit it. I am woefully ignorant when it comes to holidays in Scotland. Having only been there twice myself (neither time with kids), I am the last person to be dispensing advice about travel north of the border. Step in new Trunki Files contributor Linda Hull. Linda has been holidaying in the Cowal Peninsula in Argyll all her life and loves its beauty and simplicity. Here, she shares her experience of a recent trip back with her young family. I’m sold. My heart sank a little as I saw the tagline on Google. “Argyll’s Secret Coast” turned out to have been my holiday destination for the past 37 years and where my grandmother lived in splendid isolation on the single track road between Strachur and Otter Ferry. This year we had booked Springburn Cottage in Strachur, once a bolthole for George Bernard Shaw, who described it in less than glowing terms: “There is no railway, no shops, no society, no music, no entertainment, no beautiful ladies, absolutely nothing but fresh air and eternal rain.” Luckily in the intervening 107 years things had moved on in the Cowal Peninsula. After the journey we were glad of the cottage’s proximity to the shore. 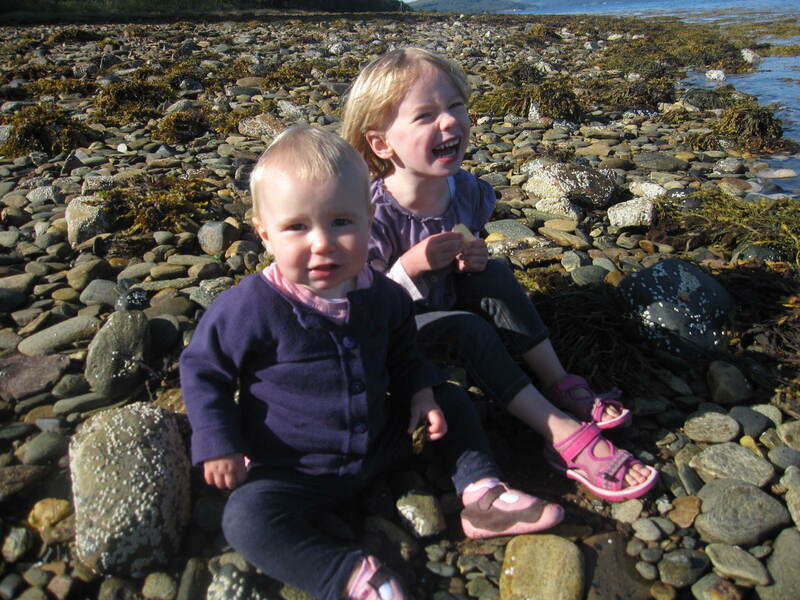 I rediscovered the pure joy of skimming stones and watching birds dive into the water from impossible heights and undeterred by the chilliness of Loch Fyne, the girls (aged 3 and 15 months) were soon paddling. 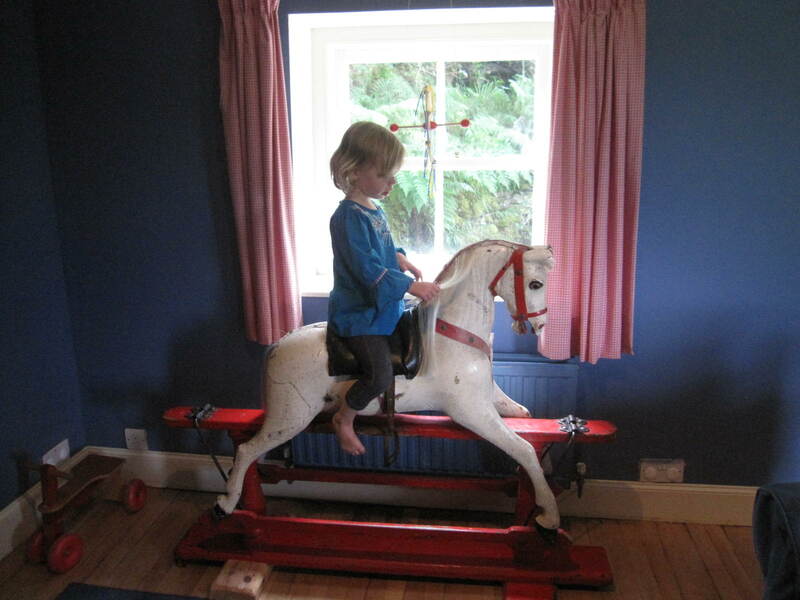 There were more delights at the cottage, where, in addition to the open fire and pedestal bath, there was a secret treasure in the shape of a playroom complete with rocking horse – a rainy day godsend. The cottage was well equipped, with the only downside being the steep steps to the bedrooms, with a downstairs bathroom. The ‘Rocking Horse House’ had entered our family vocabulary. Monday dawned in typical West Coast style – wet! However with waterproofs and wellies we found the Glenbranter Forest had some spectacular waterfalls to offer – in full spate. We dried out over lunch at the Loch Fyne Oyster Bar at Cairndow – definitely the original and the best. 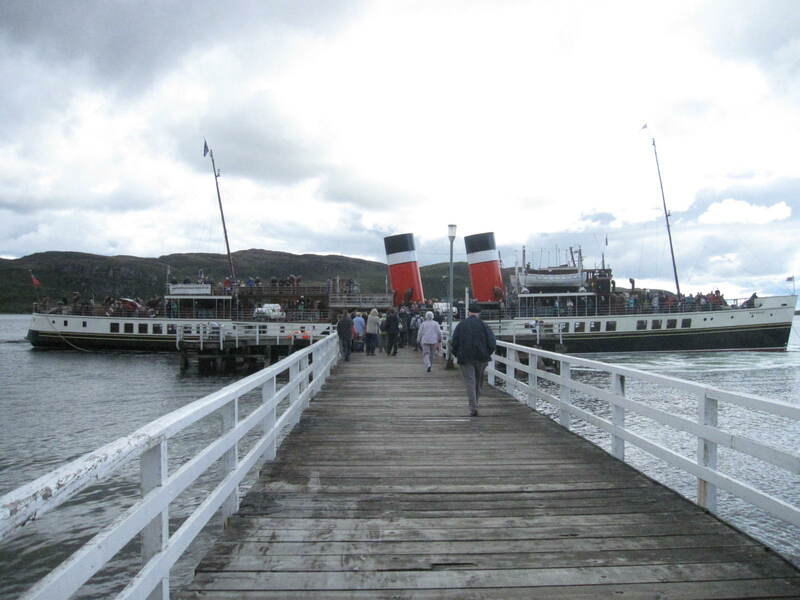 Tuesday took us truly into ‘Secret Coast’ territory, with a ‘plowter’ on the beach at Otter Ferry, followed by Tighnabruiach to see SS Waverley dock at the pier where as a child I learnt to rollerskate – it being the flattest surface around! By now the sun had really got into its stride, and, with sleepy children, loaded into the pushchair, we set off for Ostel Bay. This was my reason for the Google search, a beach to which I last travelled on the shoulders of an unnamed adult. 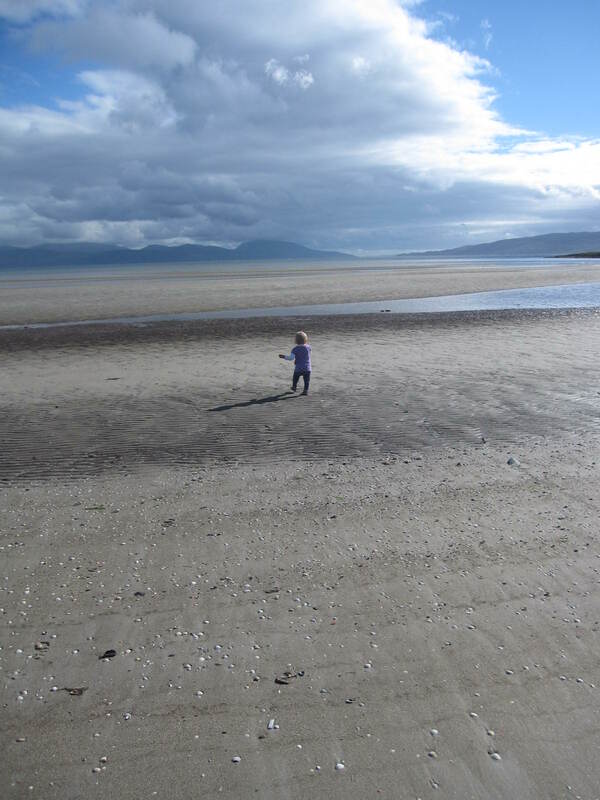 The only clue is the row of cars in Kilbride farm layby between Millhouse and Ardlamont; follow your nose to a spectacular sandy bay, with uninterrupted views across to Arran. Waverley did a majestic sail past, the girls built sandcastles, I paddled and all was right with the world. Thursday was another day of blue sky and sunshine, even when my husband left the house at 7am to ‘bag a Munro’ on Beinn Ime. The girls and I happily settled for the shore again. Lunch at the excellent Inver Cottage followed, where the friendly service and local ingredients were matched by the view over to Old Castle Lachlan. Finally we headed for Portavadie, which I remembered as a ferry port with a couple of houses. However, the Marina, with its smart restaurant and rows of yachts, seemed in the sunshine to have transported us to the Riviera. The ‘Portavadie Princess’ t-shirts on sale certainly made me smile, and continue to do so when I remember our top-secret week in the Argyll of my childhood. Families with young babies could try the Kilfinan Hotel. We stayed here when Charlotte was 7 weeks old, for my Grandma’s 90th birthday, and had a lovely big room with plenty of room for a cot. The owners were extremely friendly and helpful, and there are lovely walks from the hotel. Evening meals were good and no-one minded the baby in the car seat! Wet weather is more likely than not – so good waterproofs for everyone are vital. Embrace the weather for a walk and then retire to the Oystercatcher at Otter Ferry, Inver Cottage at Strathlachlan or the Loch Fyne Oyster Bar at Cairndow for a good lunch. The cafe at Benmore Gardens is also good and the gardens themselves worth a visit. 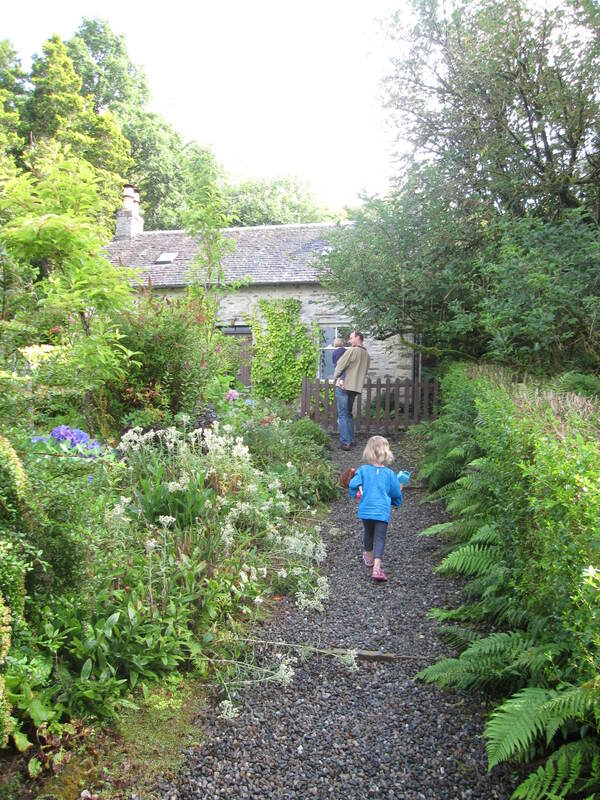 Ardkinglas Woodland Garden is also lovely for a walk, but has no cafe!! It is free for children under 16 and has a treasure hunt trail. (And is not that far from the Oyster Bar – can you tell that is my favourite?) This formula has worked for us in November as well as August! There is more entertainment at Inverary (Castle and Jail) and further afield Dunoon – worth a trip if the Cowal Games (late August) are on for some caber-tossing action! Dunoon is the nearest place for a supermarket – so if you’re self catering stock up on the way as there are limited options although plenty of good fresh seafood available. This entry was posted in Destination guides, UK and tagged Argyll holidays; scotland holidays with kids; family holidays scotland; Springburn Cottage review. Bookmark the permalink.